Andrew Shallcross, known by his stage name Andy Votel, is an electronic musician and record producer, founder of Twisted Nerve Records. He is from Marple Bridge in Stockport. 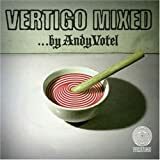 Andy Votel (owner of Twisted Nerve Records & Badly Drawn Boy’s producer) has had an infatuation with the Vertigo rock catalogue for 20 years or so, and he's not alone. Many have been seduced by the otherworldly and perverse sleeve imagery that makes up their catalogue of prog rock acts with the arguably the best names ever (Gentle Giant, Flied Egg, Juicy Lucy & Daddy Longlegs etc). Take a twisted journey into the world of Vertigo.